Wow! Has it really been over a month?!? We just completed week 13 in the rig. Crazy! This last month has been filled with so many lessons. 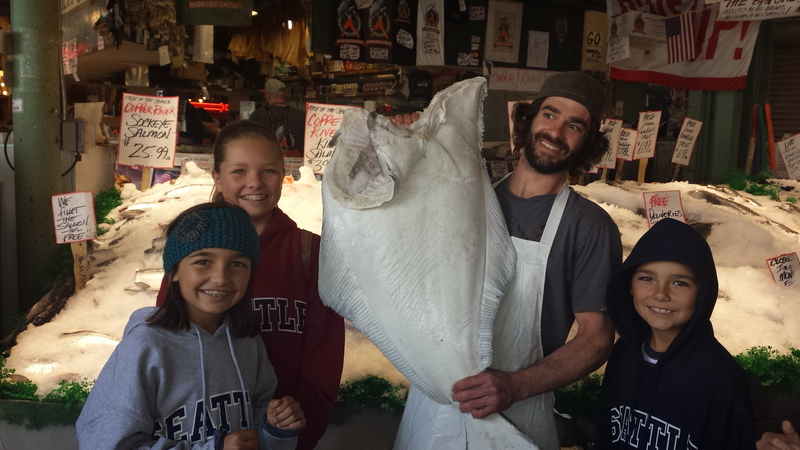 So many teachable moments…and not all of them were just for the kiddos. The biggest lesson being learned over here in the Barry camp is that of time. Time. It’s such a complex element. As I’m sitting here under a shady oak tree in Santa Paula typing out my thoughts…I think I could really right an essay on the subject. I will spare us all, but really….we already know that time is a gift and somewhere along the way we were versed on the necessity of time management…but what about loving time and finding more time. We all know that time can not be created or increased, but I believe we can find more of it and that we can learn to have a love for time. Think of it like eating. You can eat to simply sustain yourself with a caloric intake or you can create recipes that are more like art and savor every morsel that you consume with great pleasure. See? Such a difference, right? Now back to time…I have often wished for time to stand still, or at best, to slow down. There have been many of those moments where I don’t want my babies to grow up. There are also those moments where the kids are in bed and the dishes are finally done, and I wonder where in the heck the time has vanished to. I didn’t give enough snuggles. I didn’t play a board game. I didn’t get that chipped polish of her sweet little fingernails and paint them afresh. I didn’t. I didn’t…. The crazy thing is that I can still have these thoughts, even in my more simple RV life. I have not mastered the art of simplicity. But we have cut out a great deal. My house takes less time to clean and there is no yard to take care of…yet the time still vanishes. So what do we do? We learn to love time. God created time and every moment is a gift from Him. We need to seize every moment…and then love it. It sounds great…but it’s hard. This is something that my to-do list and calendar cannot help me with. I cannot organize my way into loving time. I can find ways to discover more time though…and then thank God for every drop of it, which consequently makes me appreciate and even love it. See? It’s the crazy tick-tock of the clock that makes life speed by…appointments, classes, commitments and to-do lists…all organized around the clock. As we cut things out of our schedule, we have noticed more freedom. However I finally realized that the time doesn’t become quality time until I intentionally savor every minute that I possibly can each day. 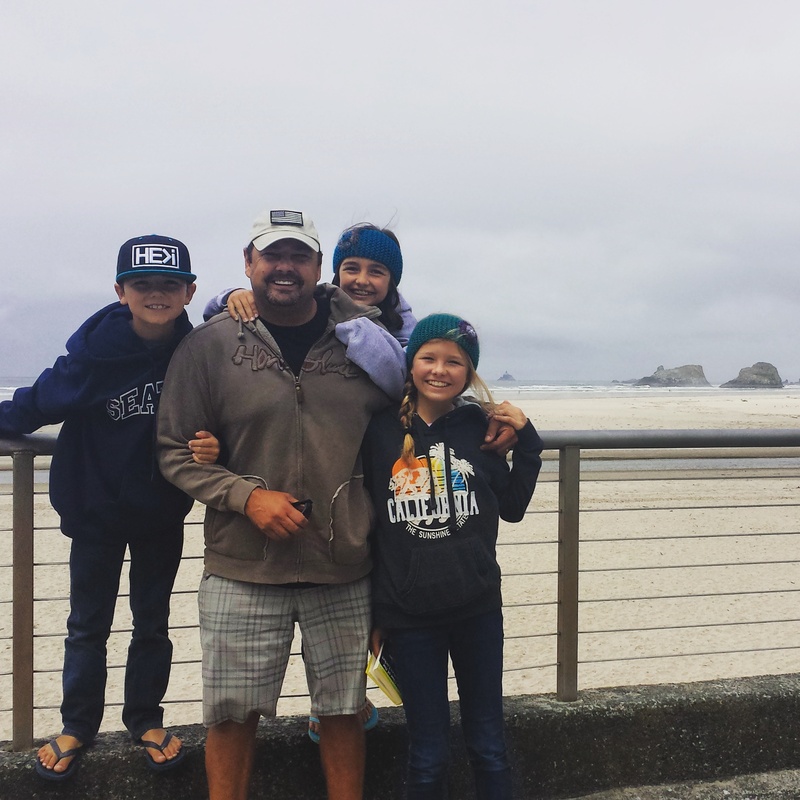 For crying out loud…my kids are growing up fast! So today we went swimming, had lazy talks and sprawled out on the couch while my boy and I demolished a pile of pistachios. Now these are the accomplishments of my dreams! So there it is. The ramblings of the road-schooling mommy on the lessons we are learning. Our first great adventure was wonderful. 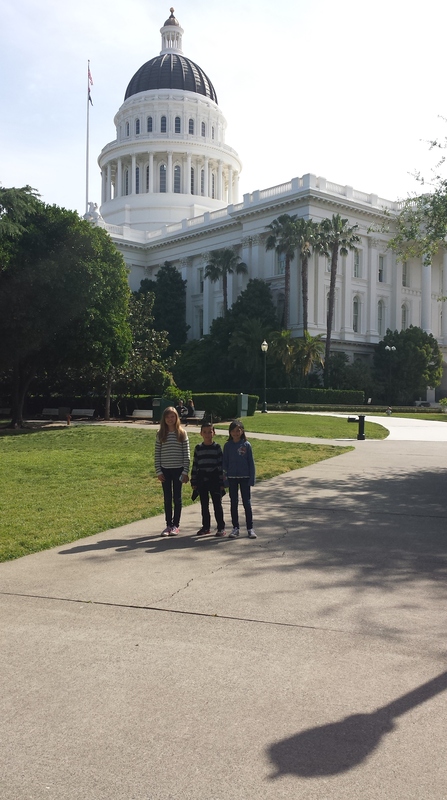 After we left San Fran we hit Sac-town. There is something about living history. 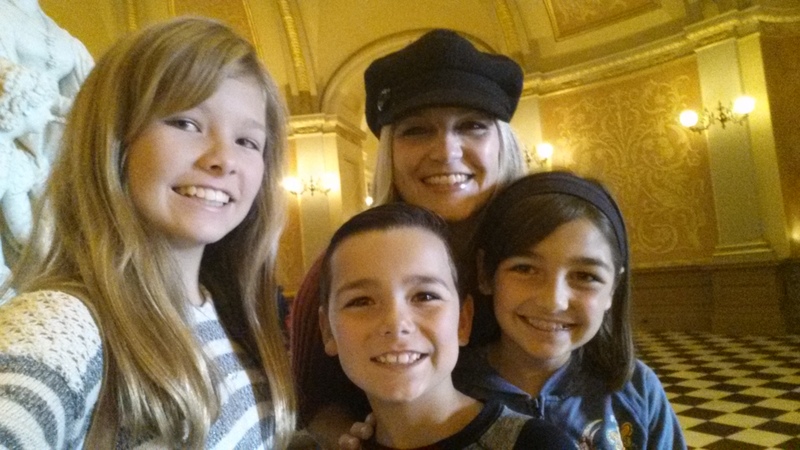 Showing our children the state capitol building, walking the halls that our representatives walk and seeing how laws are created….it really brings brings things to life. 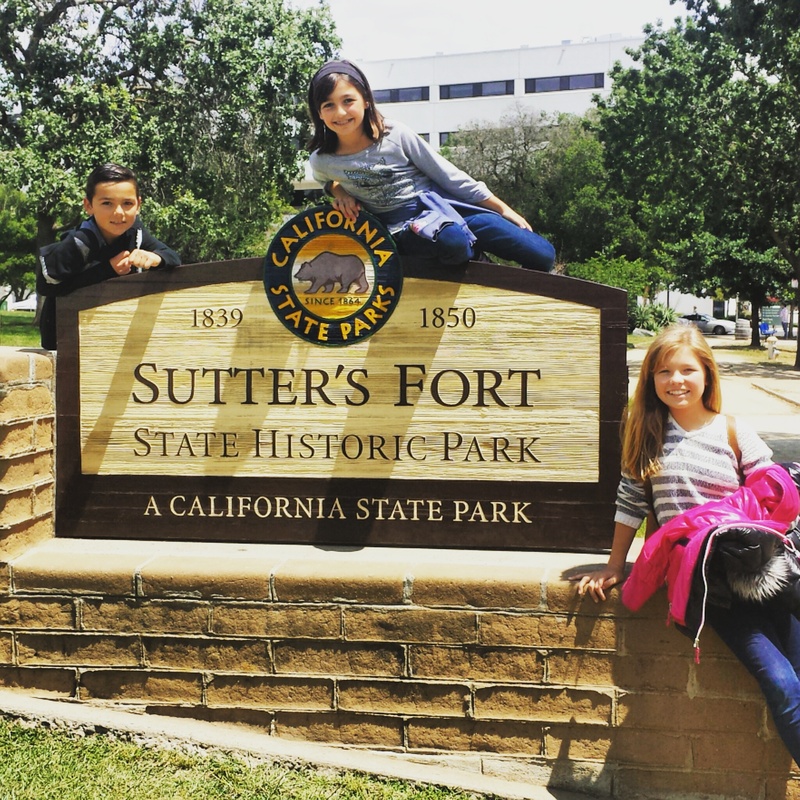 We also enjoyed Sutter’s Fort as we learned about the rich history of Cali. 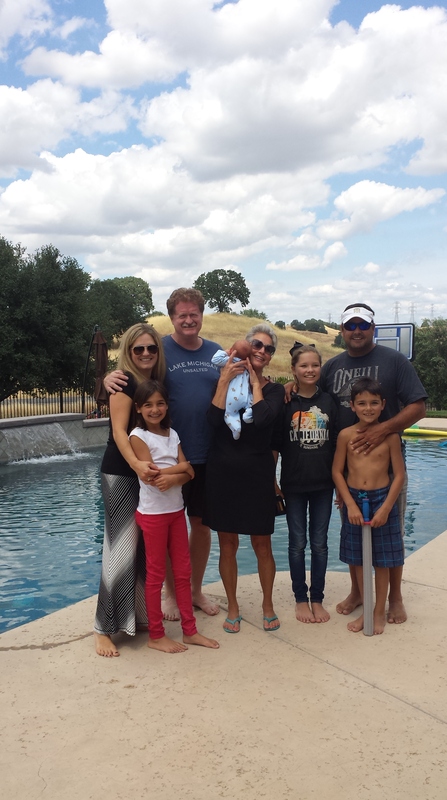 From there we had a lovely visit at our Uncle Greg and Aunt Michele’s home, or Spa Berglund, up in Cottonwood. Seriously, we were spoiled. Stop! That is not my baby…nope I was not gone that long…this is my aunt and uncle’s newest grand-baby…but it is such a cute picture, we had to include that little Kai baby. 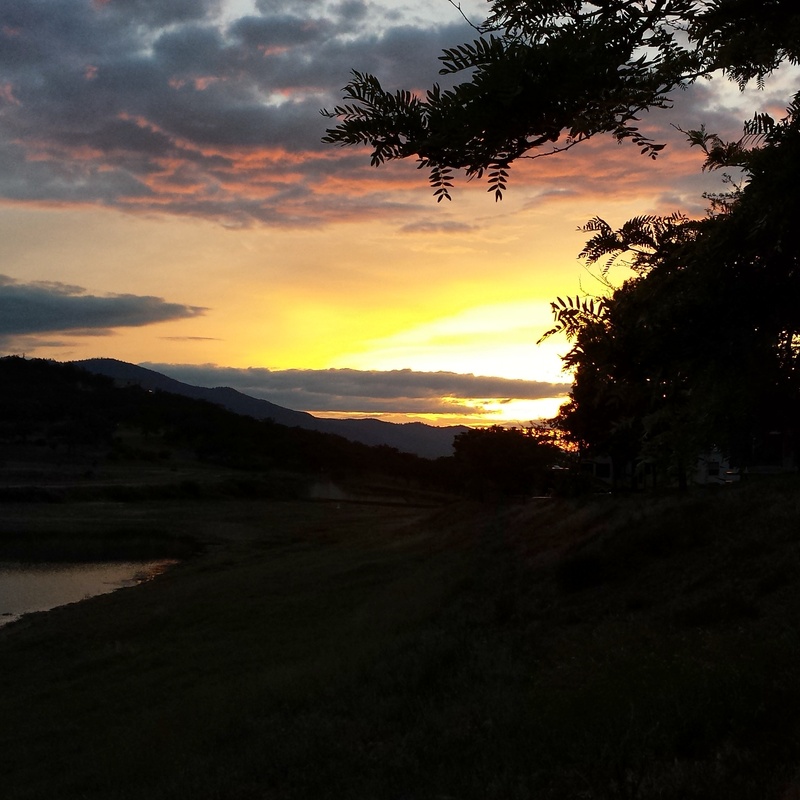 From here we crossed over into Oregon and had the most relaxing evening on Emigrant Lake near Ashland. Then it was straight up to Portland. Chris had business and we explored the town. 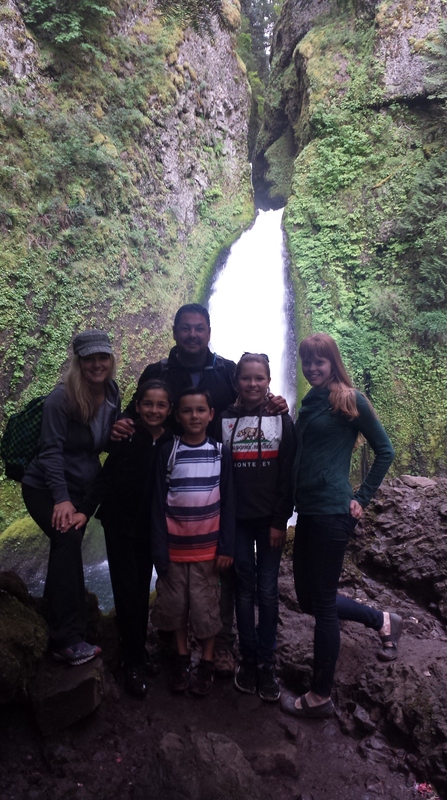 We were able to get in a fun evening hike with cousin Bri at the Columbia River Gorge that was fantastic! 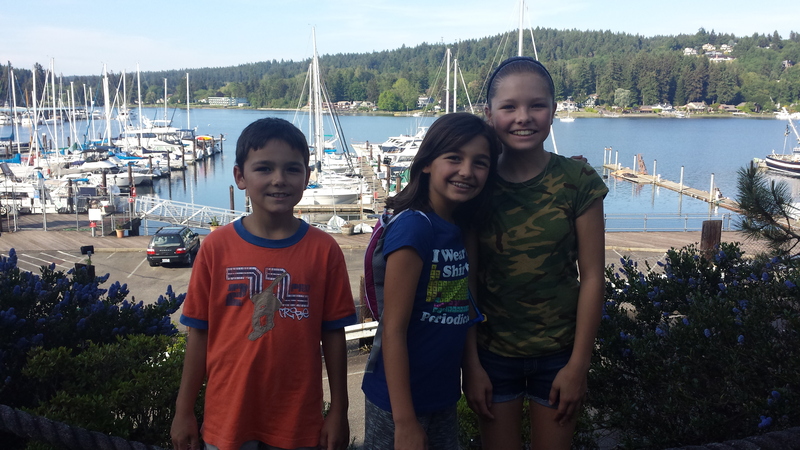 From Portland we went up to the Seattle area and stayed in Gig Harbor, Washington. It is such a beautiful area. We definitely did not have enough time here, so we plan to come back. We were able to make an entire day out of Pikes Market alone and it was awesome. 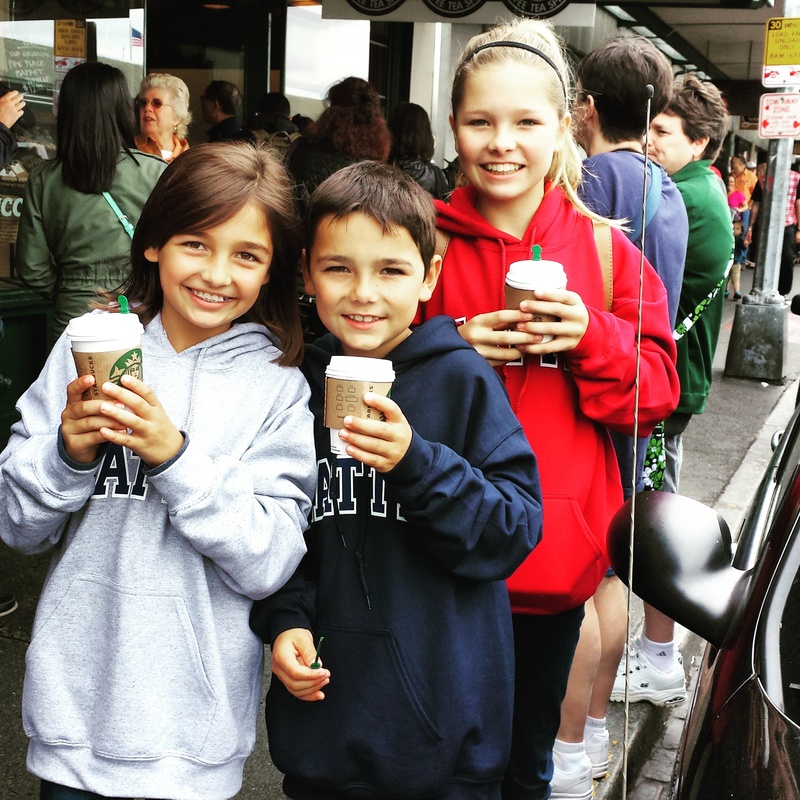 Of course, we stopped by the very first Starbucks for my sweet Angie…hot cocoa for 3! We arrived early and watched the vendors set up, saw the fish market in action and hand picked our halibut for dinner, had a personalized presentation from a small chocolatier in her shop who gave the run down of chocolate sourced from Honduras and Guatemala from pod to bar…even showing us the dried pod, saw the most beautiful flowers and of course chowed on some clam chowder. We even had beautiful weather. Since the daylight is so much longer up there, we could even have picnics with Chris after work by the sea. We enjoyed every ounce of daylight that we had. On the way back down we crossed back into Oregon and followed the Lewis and Clark trail along the Columbia river to the Pacific Ocean and drove through Astoria and Cannon Beach. What a beautiful place!! After that drive I couldn’t help myself, we went and bought the Goonies movie and introduced the kids to their first 80’s classic. 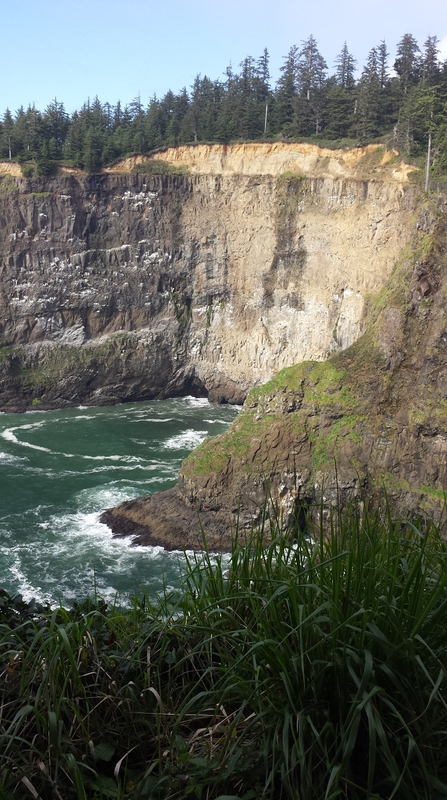 This part of the drive was probably my most absolute favorite, coming down the coast…Gorgeous. 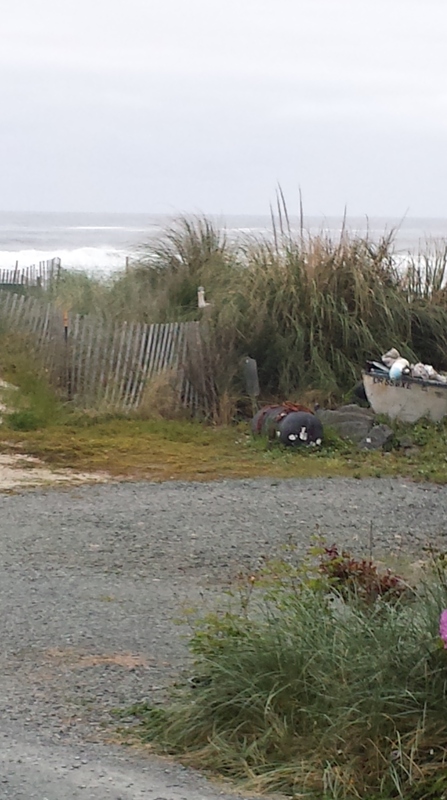 We continued a bit further and squeezed into the cutest spot in Rockaway Beach. 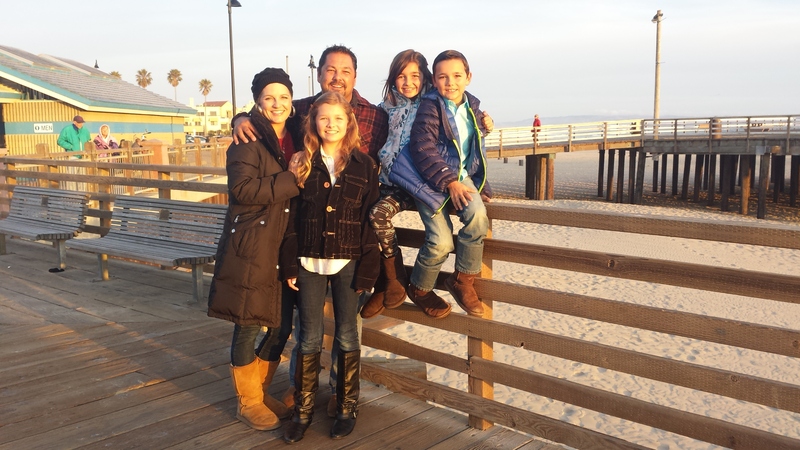 Here we were able to meet Chris’ co-worker and her husband for a tour of the coast as they live in the area. 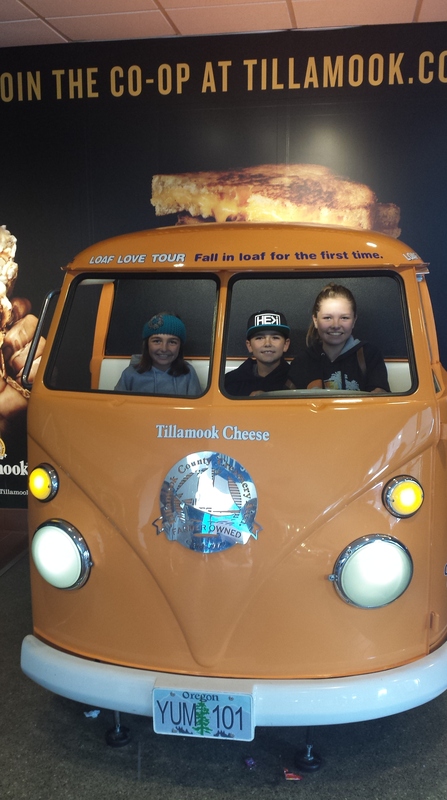 We toured the Tillamook Cheese Factory and test-tasted plenty of cheese and ice cream. 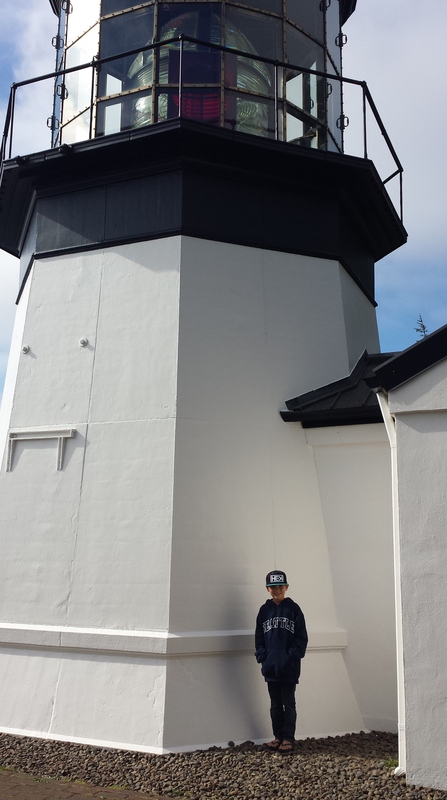 Then they helped us discover the Cape Meares Lighthouse and the cutest little beach in Oceanside. It was such an amazing day! These stops were truly treasures on our journey, apparently many locals have not even discovered them. From here we headed to Salem. This was funny…we stayed in the absolute worst campsite we’ve ever been to. It was run-down with a huge population of long-term tenants…it was kind of like watching the Jerry Springer show in a trailer park. This was one place where we tried not to meet our neighbors. 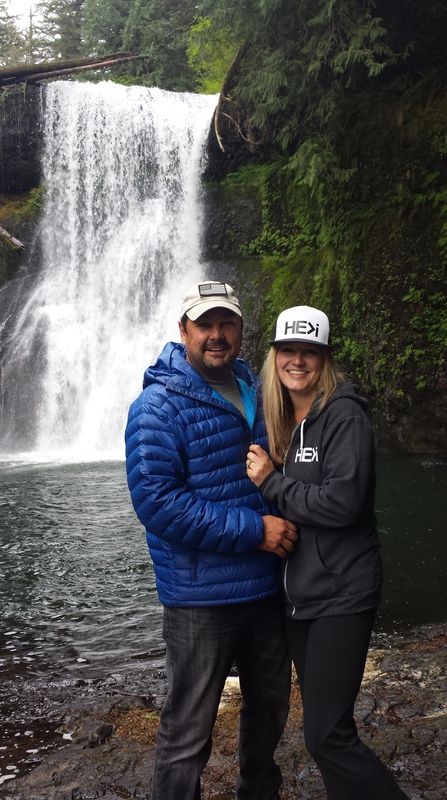 We did however head over to Silver Falls for the absolute best hike. It was stunning. We enjoyed a three mile hike and saw four of the ten waterfalls. This is a must-see for any of you traveling near Salem. After that Chris was able to take a few days off work and we meandered back down through California. In Lodi we did our first overnight stay in a Walmart parking lot…had to mention it! It actually went really well. Our last night of the trip was in Pismo Beach and this was a great way to end the journey. 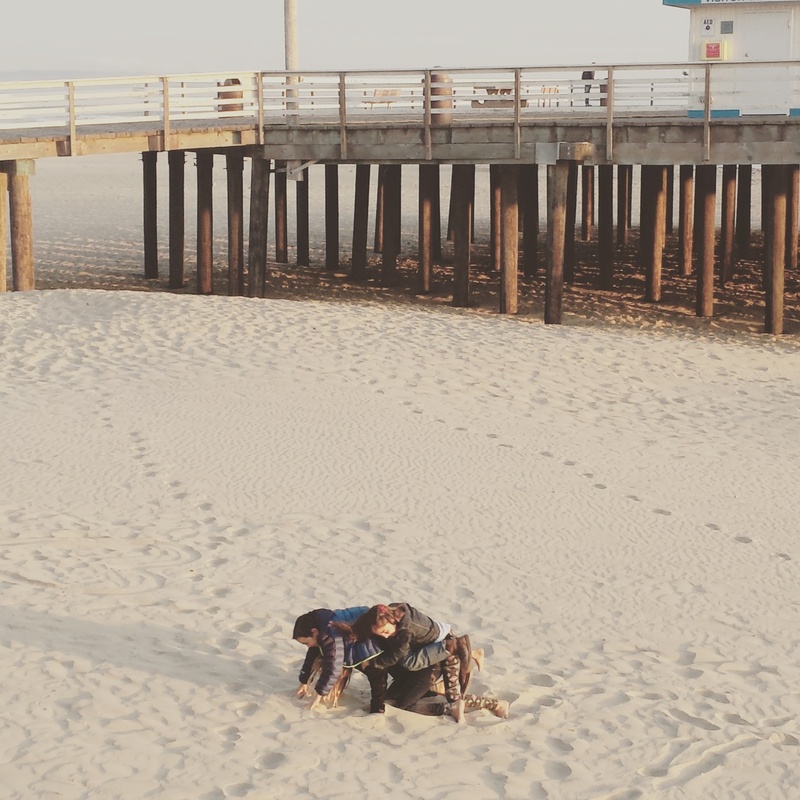 Yes, these are my kiddos, tackling each other on the beach…finding their wild. 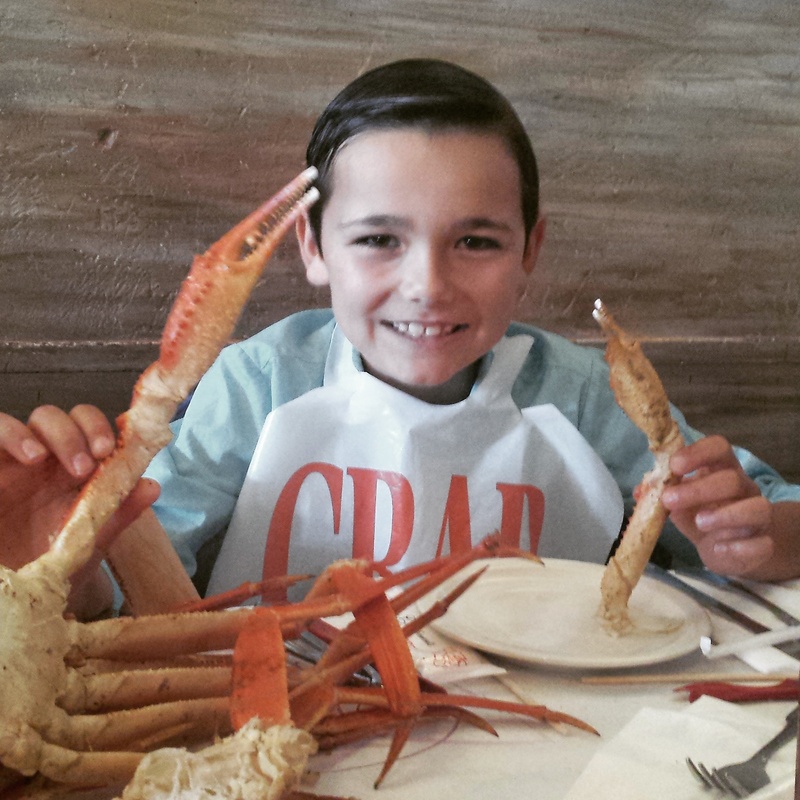 Brendan got an early-birthday crab dinner and we were all spoiled. I wish every journey could end with a crab feast. 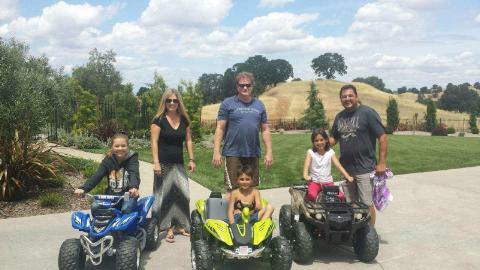 As we re-grouped in Ventura we were hit with the fact that the only reason we were coming back to Cali was for the kids. Really, the only things keeping us here are family and friends, our Classical Conversations homeschool group and Tae Kwan Do for my 3 black-belts. We realized that none of these things were going anywhere and that they could all be paused or resumed after a break. So there it is! We are going to travel more! We are in the process of pausing our commitments here in Ventura and will be heading out of town on July 25th! We are going to roam the states that are in Chris’ work territory. Basically, he works during the week and then we move our little home on the weekend. Now we will try and stay in one place for 3 or 4 weeks at a time. For now, the kids are enjoying a session of Junior Lifeguards in Ventura and plenty of time with family and friends. 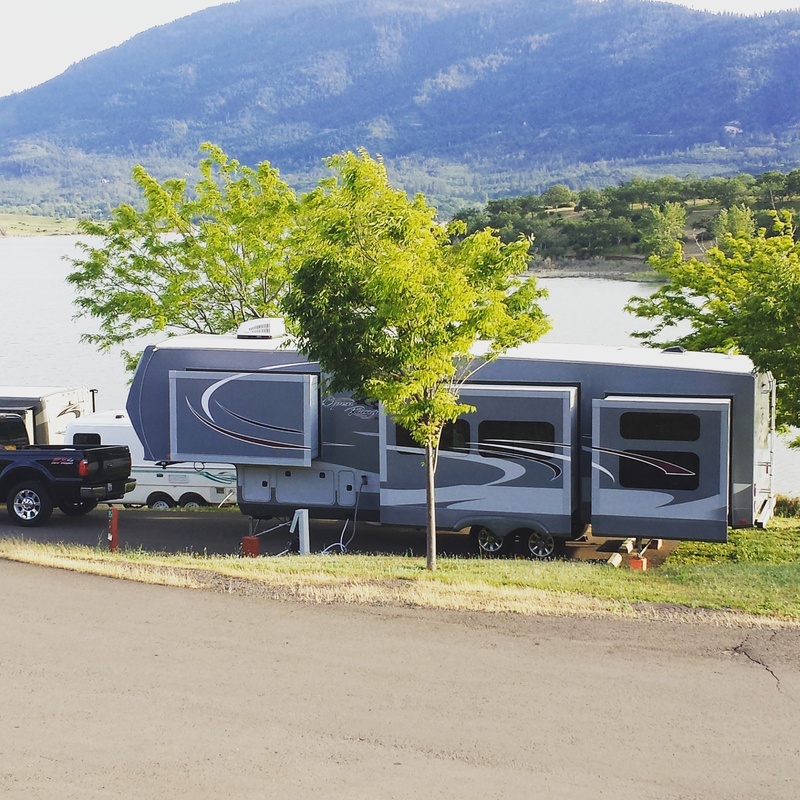 I know this “post” is crazy long…but really it’s for my family to refer back to in later days…a sort of online journal for us and our loved ones who are curious…and possibly for anyone who ever wonders if they could do this crazy RV life too! Yep…we are having a Barry-good-time.